It's often the small, unexpected, moments that stick with you as you travel through your life. Thoughtful gestures, kind words, shared experiences. The glue that binds all of your valuable relationships to make you who you are. Thoughtful, honest and appreciated in every way. 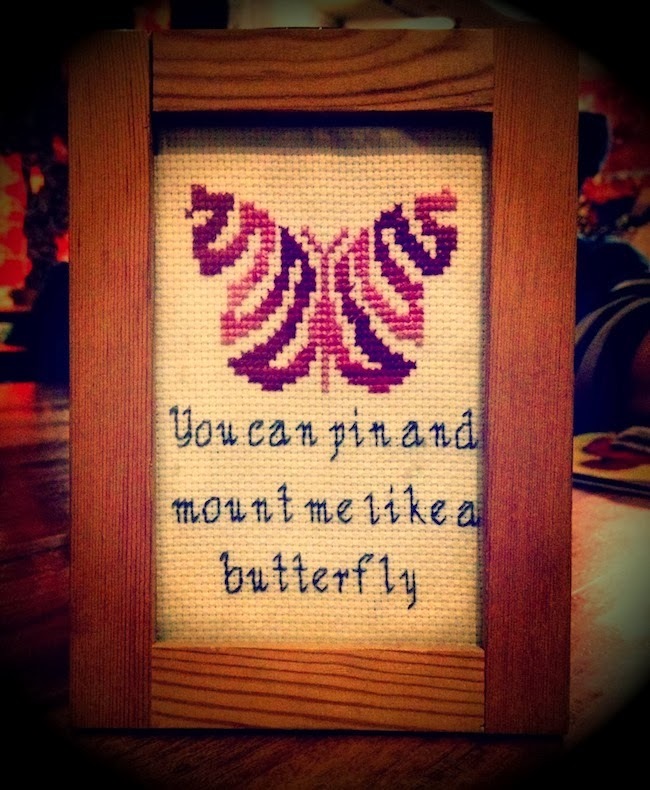 "You can pin and mount me like a butterfly"
From my favourite Smiths track, Reel Around The Fountain. Handmade just for me, by a true friend.